Vlocity is a cloud-hosted enterprise-level business management software designed to offer better efficiency and comprehensive capabilities. 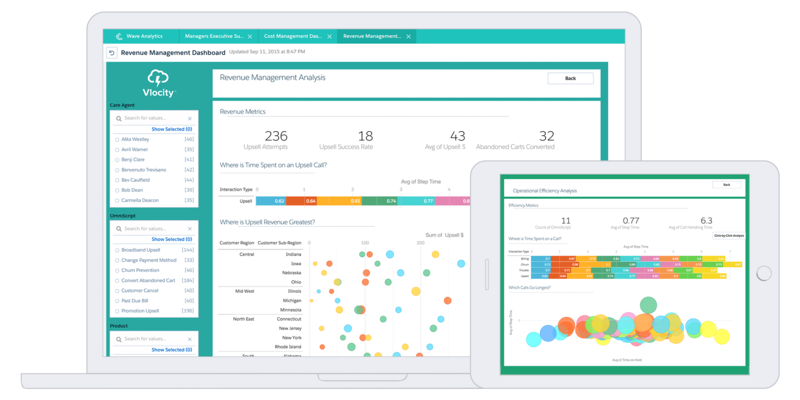 It supports Salesforce’s solutions to help you develop operational agility and enhance your time to value. The software is created for the use of different industries and businesses, including insurance and financial services, healthcare, media and communication, and much more. Vlocity offers various cloud apps and solutions such as DataRaptor, Clickstream Analytics, Vlocity OmniScript, Process Engines, and Industry Console. These solutions have brought with them the most innovative features to help you manage business processes and ensure that you are giving the best possible experience to your customers. The main benefits of Vlocity are a strategic partnership with Salesforce; complete, fast, and accurate interactions through customer channels; and industry-specific solutions and apps. Continue reading to understand how Vlocity can help you genuinely. Be it a back-office integration or data migration or Omnichannel sales and service to mobile and analytics, the software has just got the right solution. It has cloud apps that help businesses deliver effective value to customers without breaking the bank and compromising the time. The software’s apps are omnichannel by design. They support businesses in providing an industry-specific collaboration across different channels, through call centers, retail locations, indirect partner and reseller channels, or over the web. Its omnichannel functions help companies to concentrate on targeted offers for enhanced upsell and cross-sell. Moreover, it helps improve profitability and customer loyalty and retention. Vlocity is strategically partnered with Salesforce and other popular SIs, allowing the software to offer tested and extensive solutions to customers. The software is locally built to Salesforce, meaning it leverages the marketing, service, community, and analytics of the CRM. It provides capabilities that are important to your business without imitating the capabilities of Salesforce. Furthermore, the software helps you stand out by providing complete, fast, and accurate interactions with the help of customer channels. It also allows you to pay more attention to your customers rather than focusing on the software. Its task-based elements let the platform revolutionize your client relationship management via effective transactional functionalities. Through this, you can consolidate apps, reduce your operational costs, and speed up your productivity.